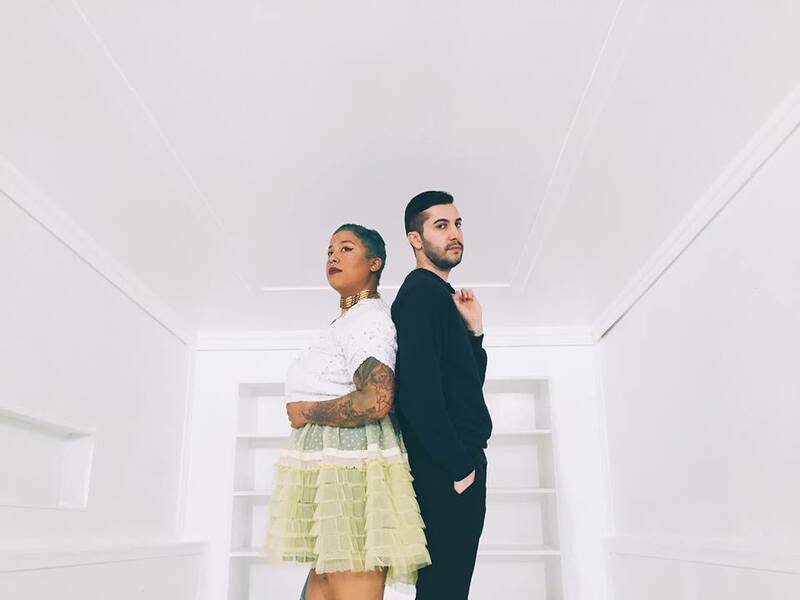 Drama Duo, the Chicago-based kickass combination of producer Na’el Shehade and singer Via Rosa, are making music that allow you to simultaneously revel and dance in your feelings. And they’re striving to break from tradition to allow you do so too. “Happy sad” music is how they like to categorize their style. As Na’el Shehade told Noisey, “When we’re making beats in the studio we get up to see if we can dance to them. If it’s not danceable...” A perfect example of this is “Forever’s Gone” from their latest EP Gallows. Their floral beats backing Rosa’s deep, heartfelt vocals, cascades vibes all across the room. I can attest to their radiating energy after seeing the duo perform at Soho House Chicago back in November as part of Kevin Coval’s curated “Chicago Next.” Via and Na’el had a palpable friendship onstage. and Via maintained a positive dialogue between the audience that kept the crowd engaged. At one point, she picked up a bubble wand while wearing a crown of fairy lights and with the city lights shining through the expansive windows, Via twirled through the crowd like a fairy tale, mesmerizing the audience. Become entranced by oozy beats, silky vocals, and magic this Saturday 02/17 at The Mint in LA thanks to Sean Healy Presents. Tickets are still available here.